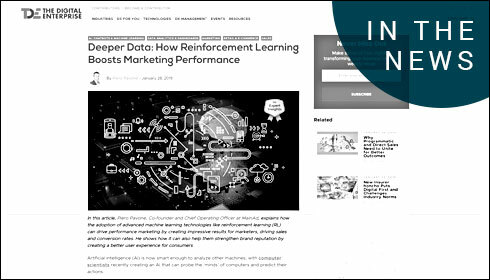 In this article, Piero Pavone, Co-founder and Chief Operating Officer at MainAd, explains how the adoption of advanced machine learning technologies like reinforcement learning (RL) can drive performance marketing by creating impressive results for marketers, driving sales and conversion rates. He shows how it can also help them strengthen brand reputation by creating a better user experience for consumers. Read the full article on The Digital Enterprise.